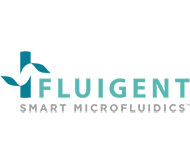 Fluigent is the leader in providing fluid handling solutions for a growing number of microfluidic applications, from lab-on-a-chip to cell handling. We develop innovative pressure-based solutions for flow control to reach flow rates setpoints and achieve superior flow performance as compared to others. We have delivered thousands of systems worldwide, and been cited in more than 350 peer-reviewed scientific publications. We also provide industrial OEM solutions design for integration into complex equipment requiring cost-effective and high-performance fluidic solutions.